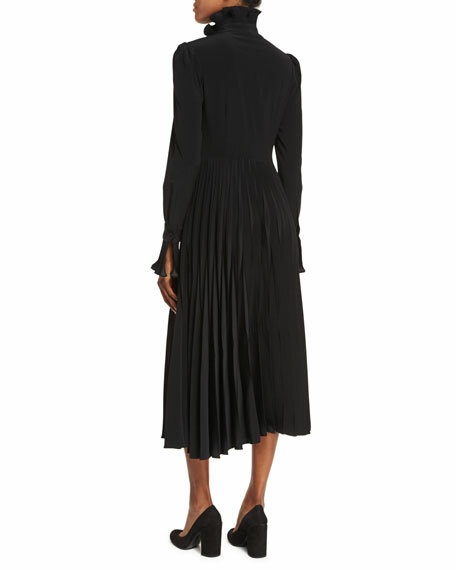 Co dress in Japanese crepe. 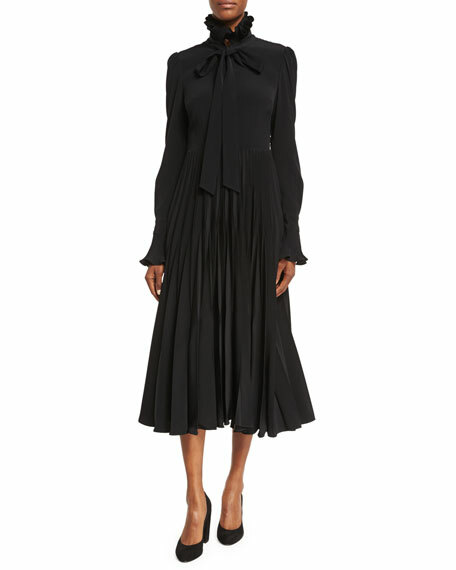 High neckline with plissé ruffle collar and self-tie bow. For in-store inquiries, use sku #2307967.